My unfinished 26th Cavalry impression. I could use a pistol lanyard and a 9 pocket mounted cartridge belt. Superb impression Vic!!! in the third photo is that the first aid pouch behind the 45 holster? Panalo! Were did you get the Phil. Dept. Patch? Nice one! Kulang na lang yung kabayo. Will you add a bandolier? 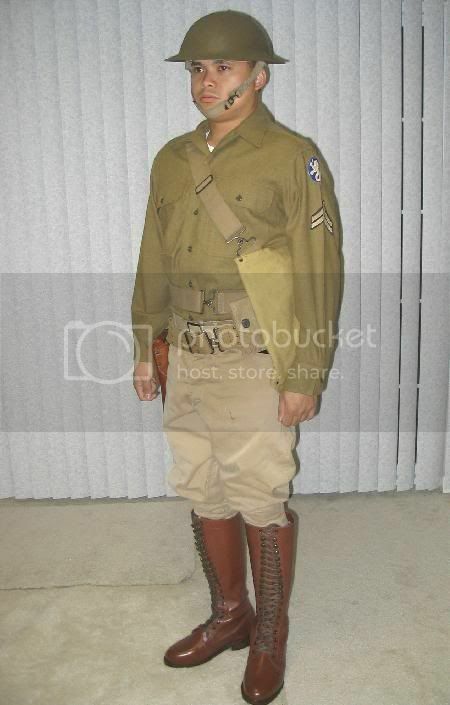 What about a M 1936 field suspenders? 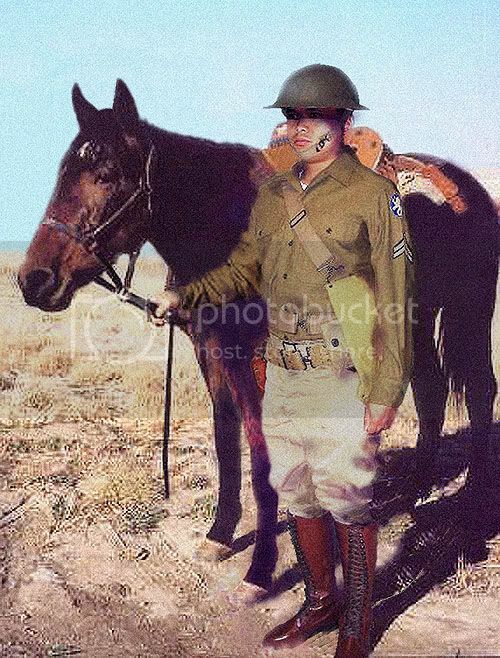 Bravo VeeVee!.......You do a much better job than John Derek or Ron Ely in portraying a dashing PS cavalryman. No need for a horse.....just a leather riding crop will do wonders in projecting the cavalier look. Yes I have m1936 suspenders but didn't feel like attaching it to the belt anymore. It was getting late. I didn't attach my canteen either. But yes that was a first aid pouch behind the holster. I got my Philippine Dept. patch from ebay for $4 + mailing. As for not having a horse, I can always say that "we already ate them" heh heh... It's also an excuse not to get spurs for the boots anymore. Nice one V V! 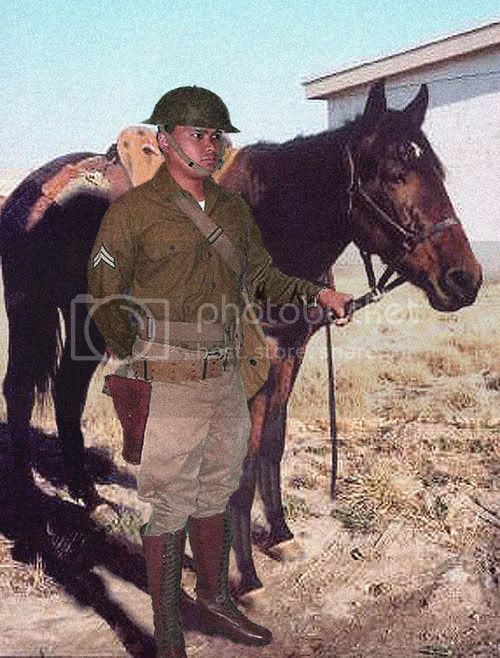 No prob about the horse, we'll just photoshop your horse! WHOAAA!!! Ang galing! Thanks for the Photoshop job. I should take a class in it. You even added shadows. NICE! haha You finally got the boots! Get the spurs and saddle and rent a horse (Avis might have one )- can you just imagine it?! Riding down 5th ave on a horse during the Philippine independence day parade! You have 11 months for riding lessons! BTW - dont know if its my settings, but the photo on top is kind of big and I always think Im at the logon screen. Congratulations Victor, great impression! I really like it. Great job on the Photoshopped picture too One Zero! hey thanks guys.. i just got inspired by VV's Cavalry impression, good stuff! 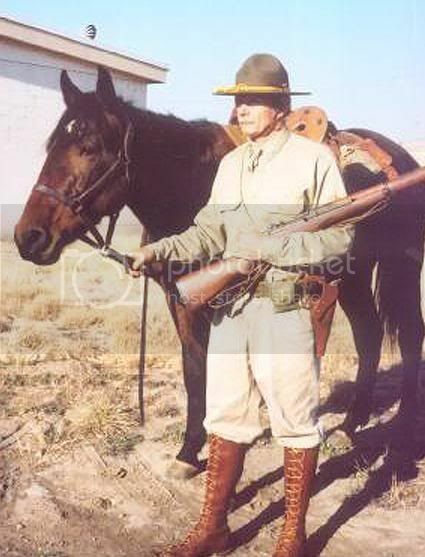 i got the horse from the other thread - Philippine Scout gear (Bataan)with the Pancho Villa period. I wish i could do better, i'm still practicing on my photoshop..would you believe my wife taught me how to do photoshop? 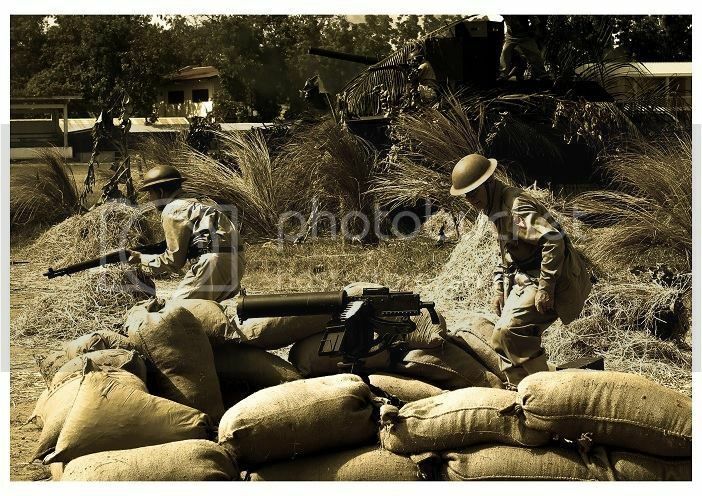 she said, so that i can do what i want and stop bugging her to do photoshop work on my wargame pictures. According to Sam Cox (he's having trouble logging in so he hasn't posted yet), the cavalry trooper is supposed to be on the left side of the horse's head when standing with the horse. I guess just like the photo above. So I'll play around with Photoshop and see if i can transpose my photoshopped picture with the horse to face to the left. Thanks for the heads-up V, left side..i didnt know that... very good detailed info. It's the view of the holster that got me to put the trooper on the right side of the horse. I tried it last night and found the function that flips the picture to face to the opposite side. The only problem is everything else is transposed. The holster, gas mask bag, etc. are in the wrong side. true that will happen V...now, since you got a shot which is similar to the angle of the cav guy above, we can use that Angle 1 shot and put it in the place of the rider. i just said easy fix bec. you got the Angle 1 shot and that makes it easier to do. We have an invitation to ride at San Diego. Horsemanship training will be conducted at Miramar Air Station stables for those interested to sign up. 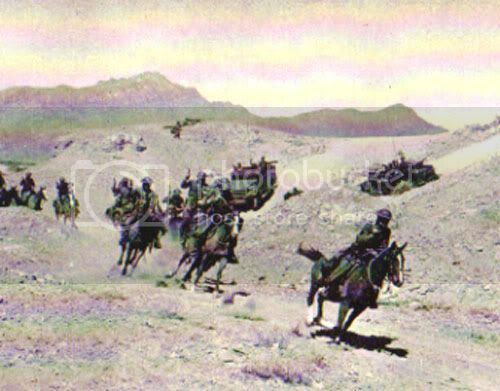 The left side of the horse is the NEAR side ( mount or dismount side), while the right side is the OFF side. Learned this when I was researching for my 1/6 figure. 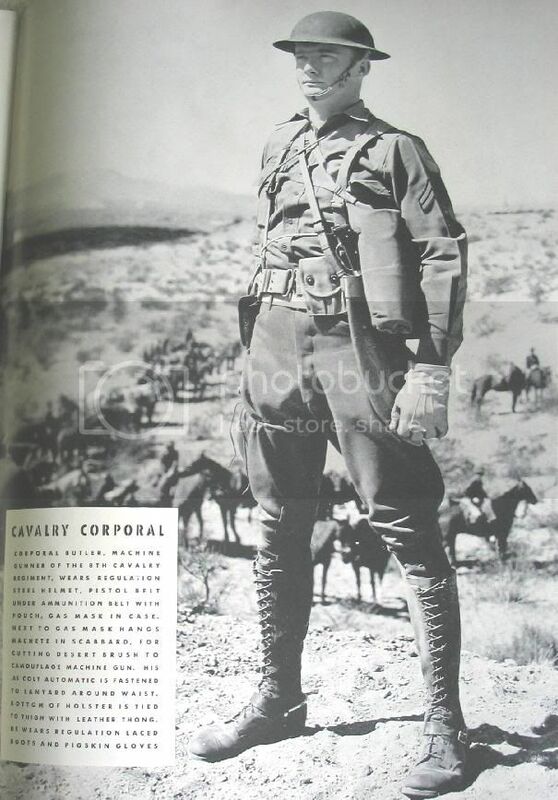 Here are some cavalrymen reference photos from the April 21st, 1941 issue of LIFE Magazine. Good reference toward a 26th Cavalry impression. 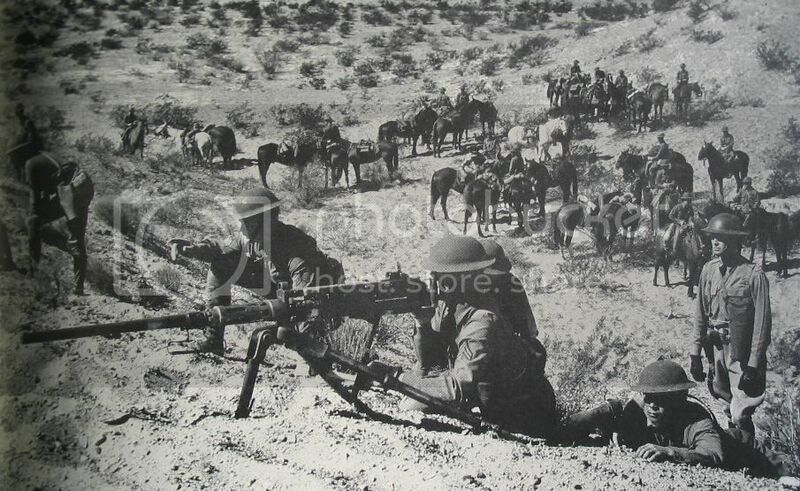 These are 1st Cavalry from El Paso, Texas. Great photo references Vic. Thanks for sharing. Have some soon to add from life mag too! Is it me or do these original 1931 cavalry boots don't have toe caps? If that's the case, then my reproduction 1931 cavalry boots which I haven't been 100% happy with because of its lack of toe caps may actually be accurate!